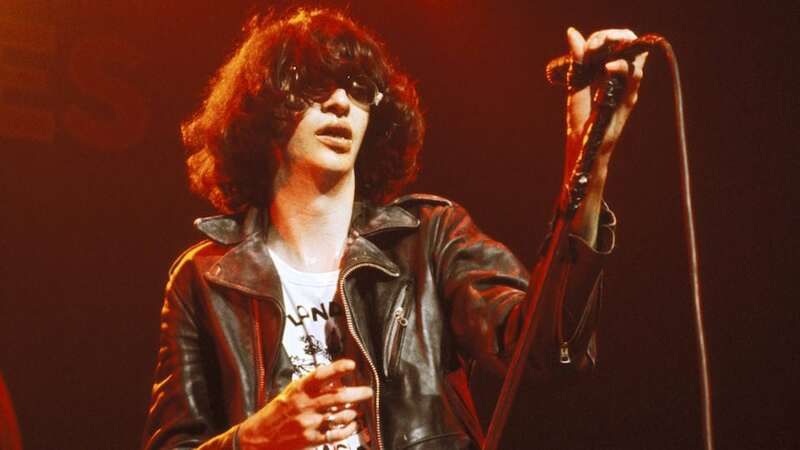 As the story goes, guitarist Johnny Ramone was a huge fan of horror films and asked Joey to write a song based on one of his favorites: 1974’s The Texas Chainsaw Massacre (humorously pronounced “mass-a-CREE” so as to work as a rhyme for “took my baby away from me”). But this tune’s narrator doesn’t stand a chance of ever seeing his girl again — alive, that is. Too ridiculous to be scary, “Chain Saw” moves at a breakneck speed — a perfect song off of their equally perfect debut. Although featured on their second LP Leave Home, this was one of the group’s first songs and apparently secured their record deal with Sire Records. A huge Beatles fan, Joey hereby spoofs the title of “You’re Gonna Lose that Girl” by composing what could actually be its very grisly sequel. This one also comes off the Leave Home record. The twist here? The object of Joey’s affection is “quite insane” yet he doesn’t care! He’d rather she just be herself and not try to be like the other girls. This track is genuinely beautiful and wistful. Onstage Joey would often introduce songs as being “a real tearjerker for all you suicidals out there.” This one works especially well on that front with lyrics like “I don’t care about this world” and “I don’t care about that girl.” That’s it. Take note: “I Don’t Care” was written pre-Ramones in 1974 during Joey’s brief tenure as lead singer for the NYC glam rock band Stryper, back when he was known as Jeff Starship. With all due respect to “I Just Want to Have Something to Do” off Road to Ruin, this other track on the album may not be seen in the Roger Corman pic Rock ‘n’ Roll High School but it’s still my pick though because it’s got a really spectacular vocal and is guaranteed to make you bop ‘til you drop. The best tune on Pleasant Dreams, the only album on which Joey out-writes Dee Dee, “7-11” is a classic teen tragedy in the vein of “Tell Laura I Love Her” and “Teen Angel.” The “young and in love” couple meet in a convenience store over by the Space Invaders game and the rest is history… ending with an out-of-control car killing the girl and crushing the narrator’s soul. A gut-wrenching ballad. Is the KKK to Ramones what the Walrus was to the Beatles? Who was the Walrus? What does the “KKK” refer to in this song? The truth may never be revealed, but it doesn’t really matter because it’s such a great song to sing along with. That’s probably why it remained a staple in their live show from the time of its release all the way up to their farewell show at LA’s The Palace in Aug. 1996. “Epic” is a word I don’t throw around lightly but I can’t think of another term to describe this unbelievably beautiful song about stalking a girl outside of NYC’s Peppermint Lounge in the early ‘80s. A sonic masterpiece, whether it’s the electric version on Subterranean Jungle or the acoustic demo. So you’ve got it all going on, right? So, what could go wrong, right? You thought ax murderers and the KKK were scary, huh? Well, you ain’t heard nothing yet. Give this monumental outing from the wonderful Too Tough to Die a listen. Sad. Dreamy. Weird. Compassionate. This song is as unique as Joey was as a person. Seems like he saved the best for last. No kidding. This homage to The Velvet Underground — from End of the Century produced by Phil Spector — describes the tedium of touring and sitting around lonely hotel rooms and watching “Get Smart on TV and thinking ’bout you and me and you and me.” Elegantly covered by Tom Waits later the same year as its release, The Ramones demo version may have none of the Spector production but it does possess all of the raw energy and beauty found on the band’s first four albums produced by drummer Tommy Ramone. No 6. The song is called 7-11, Pleasant dreams is the name of the album.